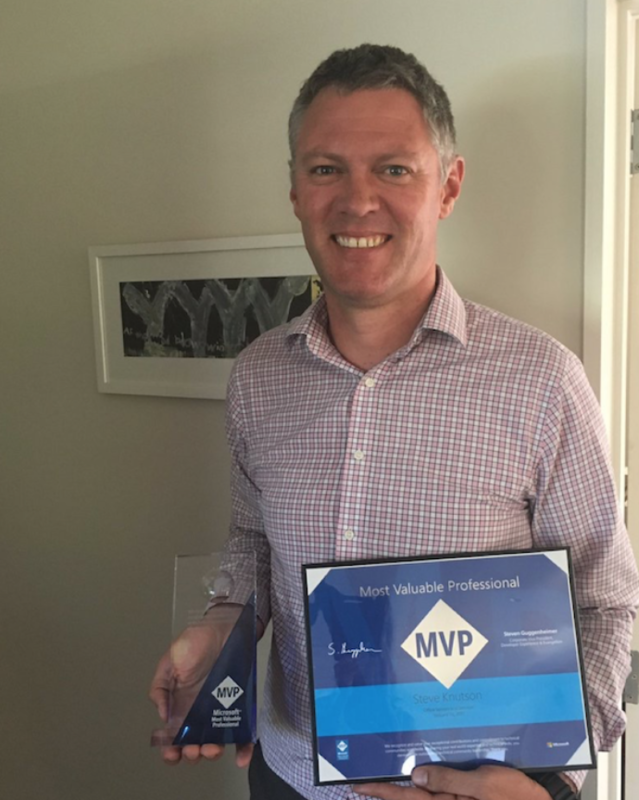 Congratulations to Steve Knutson for receiving the Microsoft MVP award for Microsoft Office Servers and Services (SharePoint and Office 365). Steve was one of two new recipients of this award in New Zealand and Australia for 2017 and we think that is quite an achievement. 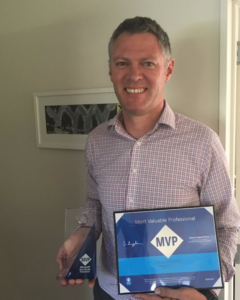 Steve was nominated by several people from the IT community for organising free community IT events around New Zealand, arranging sponsorship, writing on technology topics and helping people around the globe to better understand SharePoint and solve complex technical issues. Once again we congratulate Steve on out-geeking the rest of our team and wish him all the best with the early morning wake-ups for product announcements and technical training held in other timezones! Well done!